Sociology is offered through the Division of Behavioral and Social Sciences in the College of Humanities and Social Sciences. The program offers high quality upper division courses and advisement designed to prepare students for a wide variety of careers related to Sociology as well as providing graduates with a solid foundation for postgraduate study. The experiences assist and encourage students as they continue the process of understanding the nature of their personal Christian commitment and seek to integrate these insights into their academic disciplines and their vocational choices. What makes an OBU Sociology degree special? 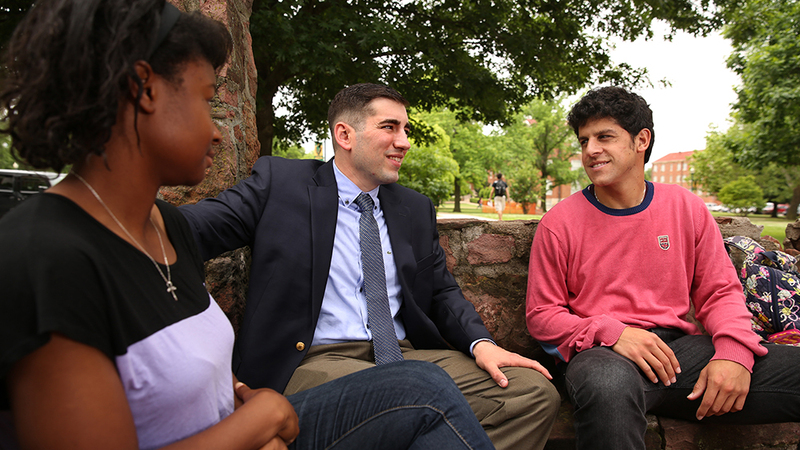 OBU equips sociology students to understand the importance and influence of social structures and social interactions on individual and group behaviors. Students will gain the analytical and relational tools needed to assist them in understanding the complexity of our world that will lead them to engage with and address issues facing an increasingly complex and diverse world. Sociology majors are equipped for a variety of entry-level positions in the helping professions. Sociology majors are uniquely prepared for work with child, elderly, homeless and under-resourced family service organizations that respond to social and individual deficits. What career opportunities are there for Sociology majors? Many of our grads pursue community-based careers. One Sociology alum works for the Police Department in Oklahoma City while another is the Assistant Director of Specialty Courts at the Oklahoma Department of Mental Health and Substance Abuse Services. Grads have been employed as a behavioral interventionist at Easter Seals Autism Services, an education volunteer at Peace Corps Rwanda and a therapist working with sexually assaulted victims at Integris Mental Health.